QUESTION: Mr. Armstrong; You seem to argue that the sanctions against Russia are unjustified with respect to their invasion of Ukraine. I understand that Kiev was the original capital of the Rus. You do not agree with the sanctions I assume because you argue they are pointless and will not work. Can you elaborate on that view? ANSWER: I look for patterns and when you see the same pattern time and time again, history becomes merely a Shakespear play performed for centuries where the plot remains the same and the only difference is the actors in the performance. So let us look at this objectively and without bias. There was the famous parting speech of President Eisenhower who warned about the risk of the growing military establishment. Most people do not know that in December 1897, Otto von Bismarck met with the last Emperor of Germany Wilhelm II. It was then when Bismarck had warned Wilhelm about the rising influence of military establishment just as Eisenhower warned the American people. 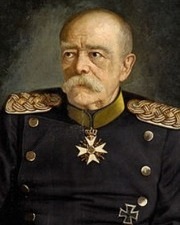 Bismarck warned that especially of the admirals were pushing to construct of a battle fleet. They even named a ship after the man who warned against their aggression. In reality, you cannot have a standing army always training for a war that never comes. The leaders get their toys and they historically always want to play with them to the detriment of the people and the nation and the soldiers whose heads are filled with propaganda about fighting for God and country who said thou shall not kill, unless a general orders them to do ao. In each of these cases, the common thread is that the military establishment pushed for war and took advantage of weak political governments. 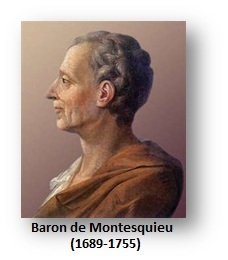 Baron de Montesquieu, was a tremendous influence on the Founding Fathers in creating the Constitution. 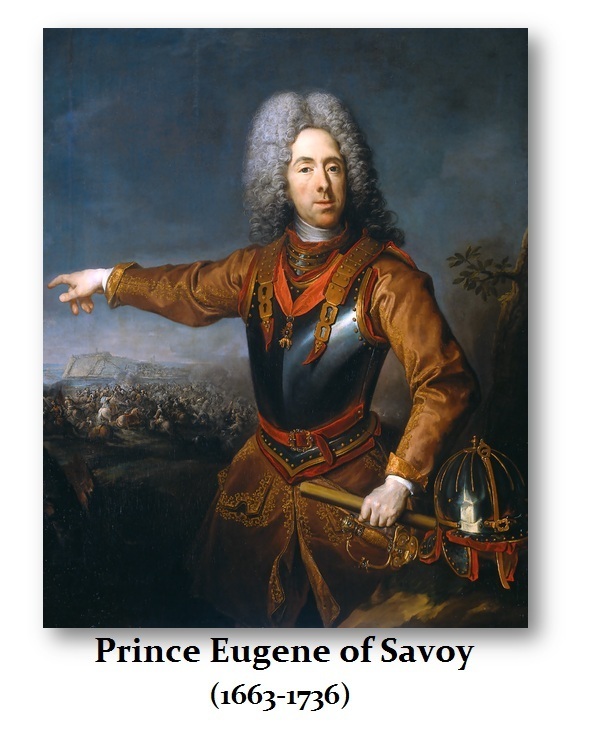 Montesquieu met the political leader and soldier known as the Prince Eugene of Savoy (1663-1736). The political discussions between these two men helped Montesquieu understand the evils of government and forged the Second Amendment of the United States Constitution and the right to bear arms. The Prince of Savoy was considered, even by Napoleon, as one of the seven greatest strategists in military history. He fought against the Turks (1683-1688, 1697, 1715-1718) and he fought against the French in the War of the Grand Alliance (1689-1691). He was also the teacher of Frederick the Great of Prussia (b 1712; 1740–1786) who he shaped into a brilliant military strategist. He was a truly brilliant man of many talents. The Prince of Savory came to see standing armies as evil, for they were easily used because of the expense of keeping them. He came to see that there should be NO armies and that was the only way to reduce the risk of war. The brilliant insight of the Prince of Savoy greatly influenced Montesquieu, for this was his source that it laid the foundation for the right to bear arms, as the Second Amendment to the United States Constitution. The underlying idea was to eliminate standing armies that feed the cycle of war. The Prince of Savoy was also a student of history. He understood that the early days of Rome were based upon citizen militias. The story of Lucius Quinctius Cincinnatus reflected him coming from his farm to lead the army defending Rome and then returning to his land. 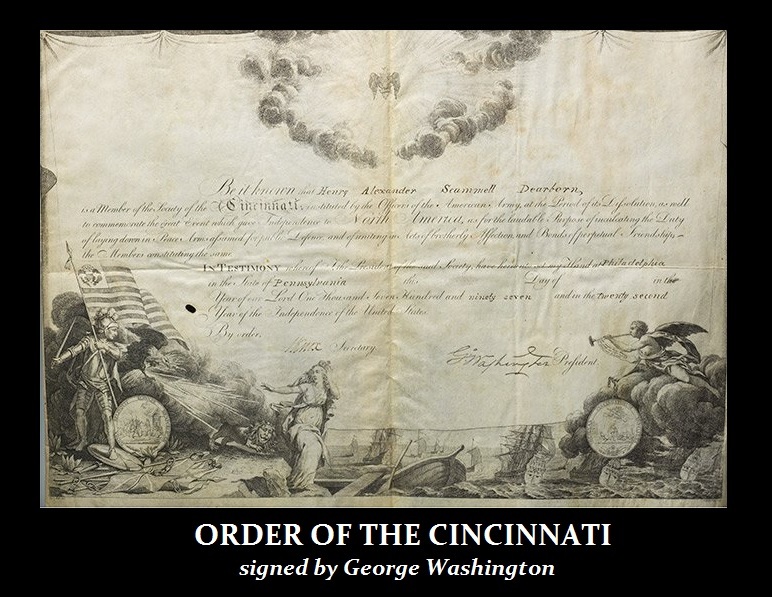 This was such a profound story that even George Washington was part of the Order of the Cincinnati. Indeed, there is a tremendous risk of standing armies and building huge defense systems. These people naturally want to play with the toys they create. It would give them such pleasure as if this were some video game for children. My concern looks at patterns. I believe the military establishment is moving us closer and closer to war and their target seems to be Russia. I do not see why war is even feasible anymore. Nobody wants to actually occupy other countries. The military establishment does not want to occupy Russia. So what is really the objective here? It just seems as if war has been reduced to two drunks in a bar who end up fighting because one looked at him strangely. There is nothing to be gained anymore other than standing on a hill and pounding your chest that you won a victory over absolutely nothing. So beware of the common thread. It is typically the military leaders who desires war so they get to do what they have been training for all these years.